Aromatherapy Essential Oils Guide-Peppermint.Uses, benefits,history and facts. Peppermint essential oil puts a zing in your step and re-energizes your flagging spirits, it is antibacterial and anti-fungal. Peppermint essential oil is particularly good for feet and scalp conditions - it is used extensively in hair loss treatments. 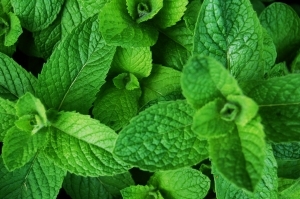 An introduction to Peppermint Essential Oil, its history, some ancient and traditional uses around the world are revealed ! 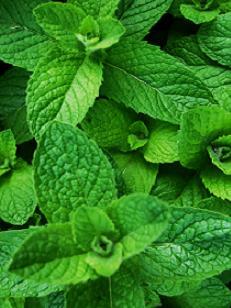 The benefits and uses for Peppermint Essential Oil as used by Aromatherapists. Descriptions of the plant, its family and source. Principal constituents and method of extraction. A wonderful way to use Peppermint Essential Oil together with Olive oil for a fantastic Olive Oil Hair Treatment - The ultimate, natural hair repair, using essential oils, suitable for all hair types. 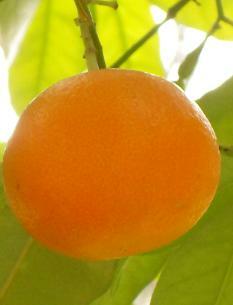 Organic, Homemade Soap Recipes, made with Pure Olive Oil. Both of these Homemade Laundry Soap Recipes use Peppermint Essential Oil. Aromatherapy Essential oils guide - Soy candle recipes with Peppermint Essential Oil.